Brooke Voigt of Canada competes in the Snowboard Ladies’ Slopestyle Final. Photo: Adam Pretty/Getty Images. 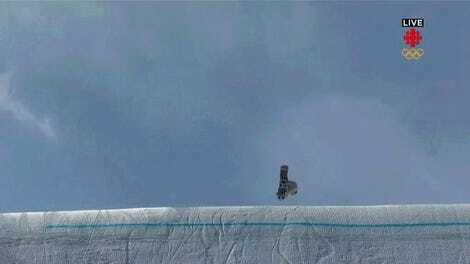 The women’s snowboard slopestyle final, a disaster amid high winds, should not have been contested today. This seems an inarguable statement unless you’re one of the organizers who decreed that it go on because the Olympics were desperate for some marquee programming to fill a big hole on the schedule—a hole caused by the cancelation of women’s giant slalom due to high winds. 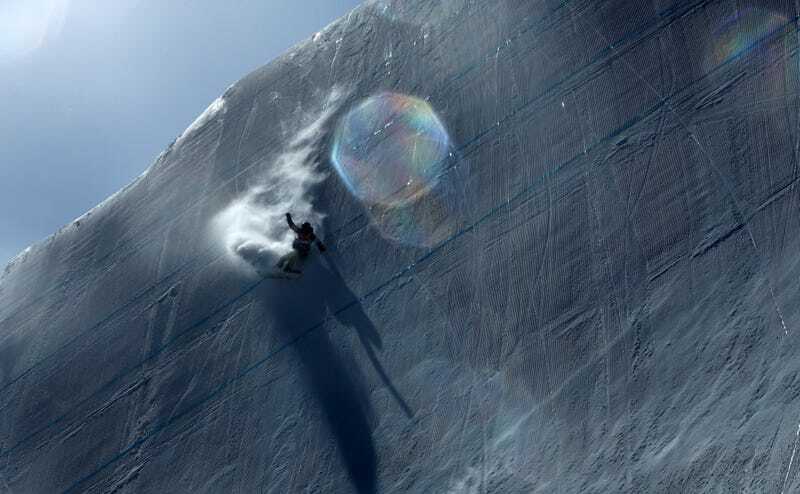 “Before my first run I was just up there crying,” Norway’s Silje Norendal added. Sunday’s qualifying run was canceled due to the same strong cross-winds that wracked the mountain on Monday, and instead all competitors were forced into a two-run final today. It was ugly: 41 of the 50 runs saw a rider fall. Well, I’ll tell you why it was run today. Because women’s giant slalom, also scheduled for Monday, was canceled due to the wind, and there’s no other big events going on today. Pressure from Olympic organizers and broadcast partners insisted that there be something to show in primetime tonight. FIS, the international ski federation that oversees both giant slalom and slopestyle, was responsible for the decision whether to postpone the events or not. For whatever reason, GS was deemed unsafe, but slopestyle, where, you know, the competitors actually leave the ground, was ordered to go on despite the complaints from riders and coaches. “Yes, it should have been postponed,“ said Austria’s Anna Gasser, who was the favorite to win the event but who fell on both her runs. “We tried to speak to officials but the Olympics put us under pressure to do it today. For snowboarders convinced that their sport will always be treated as an afterthought by FIS, they’ve got plenty of ammunition today. In a statement, FIS said the riders’ safety was its preeminent concern, and it determined the event could go on. No one was seriously injured, validating FIS on that count. But the low quality of the event was not in dispute. Only five of 25 riders completed their first run cleanly, and those that podiumed were the ones who played it conservatively. Anderson’s gold medal run scored her an 83.00, which would only have been good for sixth in Sochi. This was bad for everyone. Bad for the riders, who spent four years working toward this only to be faced with unworkable conditions. Bad for the sport, which was forced to show off inferior performances in its biggest showcase. And it’s bad for viewers, who deserve to see slopestyle at its best—big, risky, envelope-pushing tricks—and instead get to see a bunch of people merely trying not to fall.